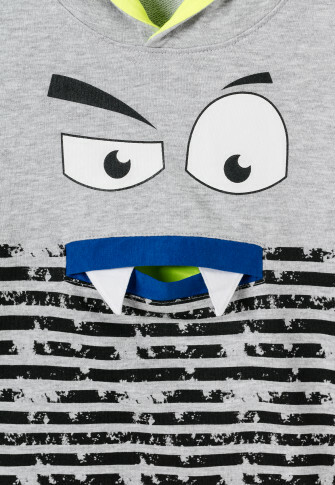 Attention, all monster fans, here comes your new favorite top! 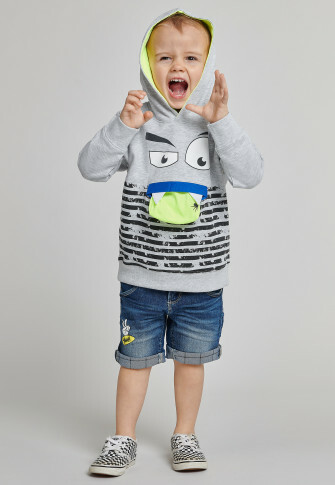 In the form of this heather gray boy hoodie that attracts all attention with its cool monster motif on the front. 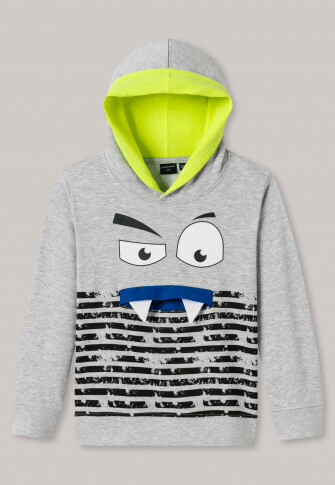 The yellow lining really stands out in the hood and in the mouth of this fun monster and is perfectly completed by the stripes in a destroyed look. 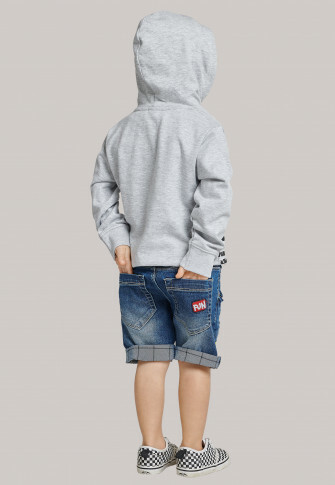 With the soft sweat fabric and ribbed cuffs, this sweater is wonderfully comfortable and is the perfect partner for all kinds of fun!